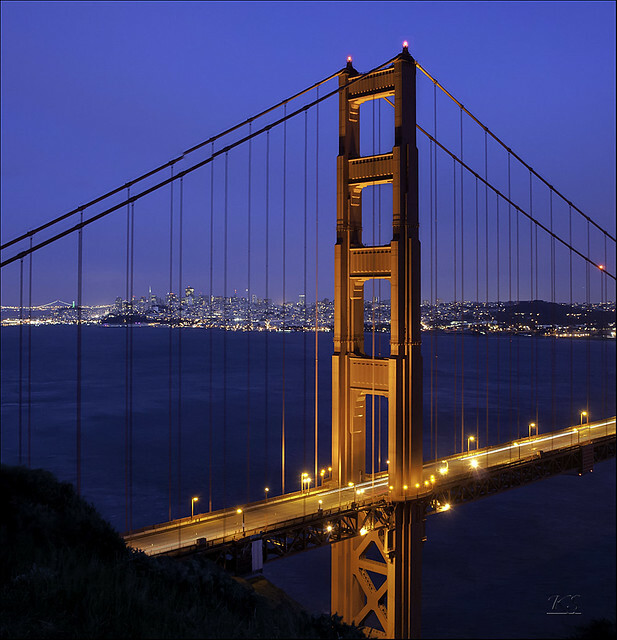 A two shot blend to create a vertical panorama (vertorama). After my recent job change, I’ve been struggling to make some time for photo shoots. But when you have friends who are very eager to head out and try some stuff, it gets little easier to get back to this. The enthusiasm they bring along with them is enough to re-kindle the lost joy of this craft. Three of us headed out to SF city on St. Patricks day. 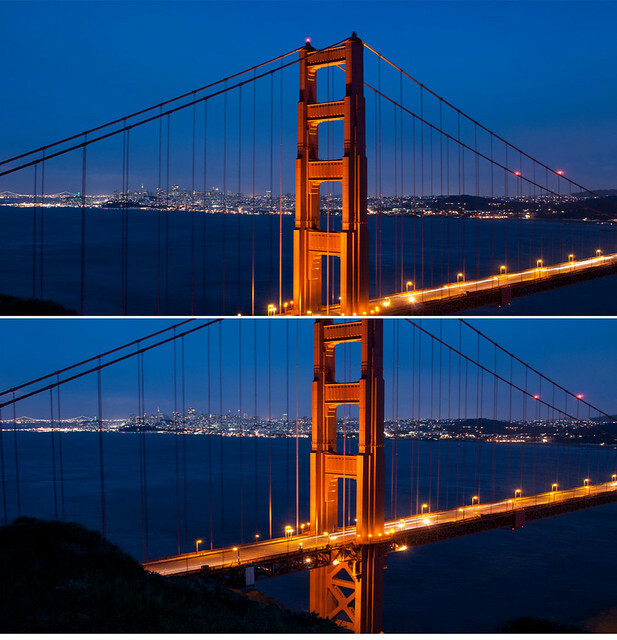 Our plan was to spend some time on the street and then head out to Battery Spencer for blue hour shots of Golden Gate. I’ve been to this location so many times now and still can’t get enough of it. Our start was really great as we got some keepers from the street and then were in time at the vista point. Since my trusted wide angle was being used by another friend, I resorted to try the 28-300 for this. The more I shoot with this, I’m convinced that it really is good for general travel and portraits, but for night shots, it does just ok. Since I’m into learning blending of shots, this was a perfect opportunity to try it as at 28mm, it wasn’t wide enough to get the entire tower. So I took 2 shots in landscape mode and blended them to form a vertical panorama. There is a small error in the blending of the wires. Noticed it after all the edits, but was too tired to fix it. My hope is that with more practice on blending, I might be able to get overcome these kind of mistakes. For now I’m still happy to manage something out of those two frames. Pretty cool vertorama, excellent at ISO 800 and 2.5s. Hope to publish my pics pretty soon, enjoyed shooting with you.